In today's computer driven culture, more and more people struggle with forward head posture, or text neck as it is also called. Poor posture often leads to neck and shoulder tension, even headaches or migraine. Over the long run, an increasingly hunched posture will suppress the rib cage and impede breathing. Reversing poor posture is not easy, and the earlier you start, the better. Here is an easy Iyengar yoga tip to get a little help with yoga props from Iyengar yoga teacher and physical therapist Julie Gudmestad. Spend 2-3 min on this simple practice a couple times a day, and you'll be amazed at the difference it makes! Do you teach yoga to older beginners? 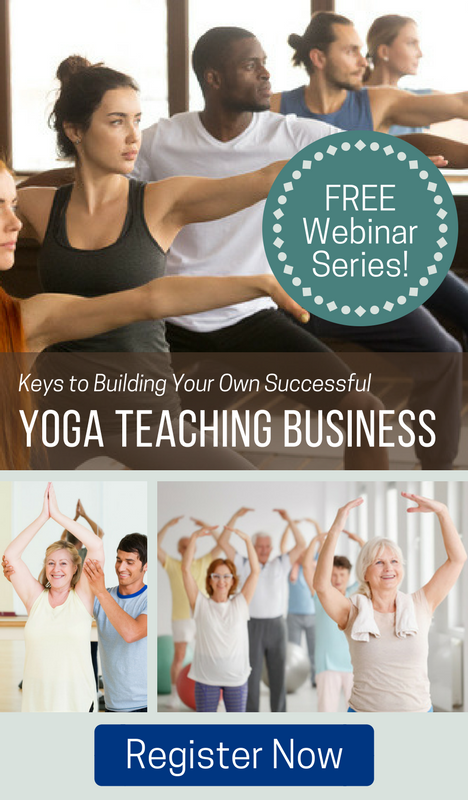 Join us for a free 3-part webinar series on how to build your yoga business, featuring a presentation by Julie Gudmestad!